Featured varieties include the Stellar Peach Series, which ripens later to extend the local fruit season in stores and markets, and includes peaches that stay bright and beautiful after canning or freezing. 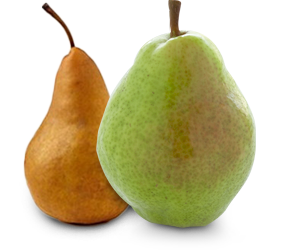 In an industry first, Asian pears are being planted for commercial production. Working with Vineland Research and Innovation Centre, the pilot includes varieties that will be more resistant to fire blight like the Cold Snap and Harrow Crisp pears, along with Vee Blush peaches which are vibrant in colour and mature early. These new offerings will increase the volume of Ontario tender fruit purchased in stores and markets across the province. The investment of up to $400,000 from the Friends of the Greenbelt Foundation is part of an ongoing partnership with Ontario Tender Fruit Growers to bolster this vital agricultural sector in the Niagara Region. Fruit from the new trees will be in stores and markets as soon as summer 2019, adding an expected $4 million to the local economy. Niagara is home to prime agricultural land for tender fruit, one of two specialty crop areas protected by Ontario’s Greenbelt. By helping growers increase their acreage, the Friends of the Greenbelt Foundation and Ontario Tender Fruit Growers’ pilot is strengthening this key economic sector and prosperity in the region. Ontario’s Greenbelt is the solution for fresh air, clean water, healthy local food, active outdoor recreation, and a thriving economy. At nearly 2 million acres, it’s the world’s largest permanently protected greenbelt, keeping our farmlands, forests, and wetlands safe and sustainable. The Friends of the Greenbelt Foundation works to help keep farmers successful, strengthen local economies, and protect natural features. Join us in early 2016 as we celebrate 10 years of success for the Greenbelt! Learn more at: greenbelt.ca or find us on Twitter and Facebook. The Ontario Tender Fruit Growers represents more than 250 grower-members. The average annual farm gate value across Ontario from fresh market and processing sales of Ontario tender fruit totals more than $55 million.